Parmesan Crusted Tilapia is a simple to make fix for a hectic weekday meal. Also, it is made from readily available ingredients. So, you are sure to love this recipe. Moreover, it is baked, hence, no extra multi-tasking! This healthy, easy and low carb dish is best way to use those lovely Tilapia Fillets. Are you waiting for its recipe? Here’s how to make Parmesan Crusted Tilapia Recipe. Usually, for dinner, we roll with a simple one platter meal that I can make in minutes. We mostly go for salads or one-pot meals like Creamy Baked Pesto Chicken Thighs | Peri Peri Chicken Skewers works just fine for us. 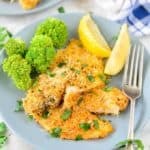 But, once in a while, I even like making a fish dish like Crisp Fish Tacos with Cabbage Slaw or this interesting recipe of Parmesan Crusted Tilapia. 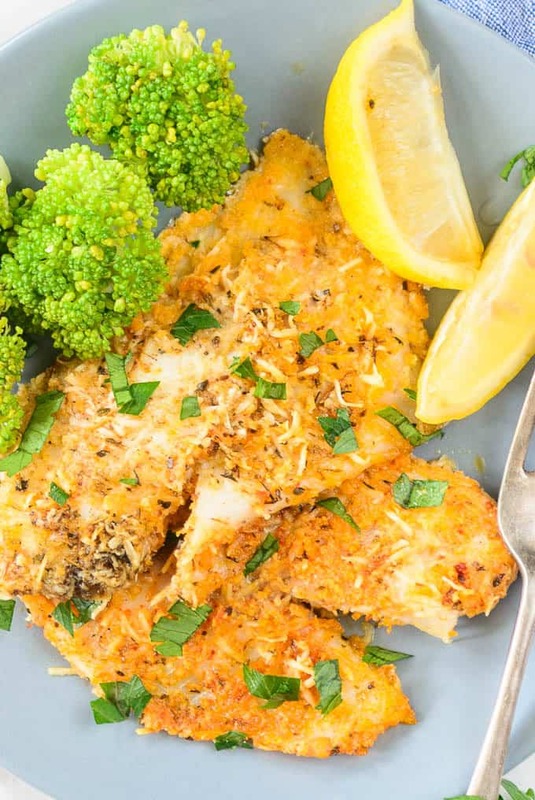 Parmesan Crusted Tilapia gets done in just 20 minutes. 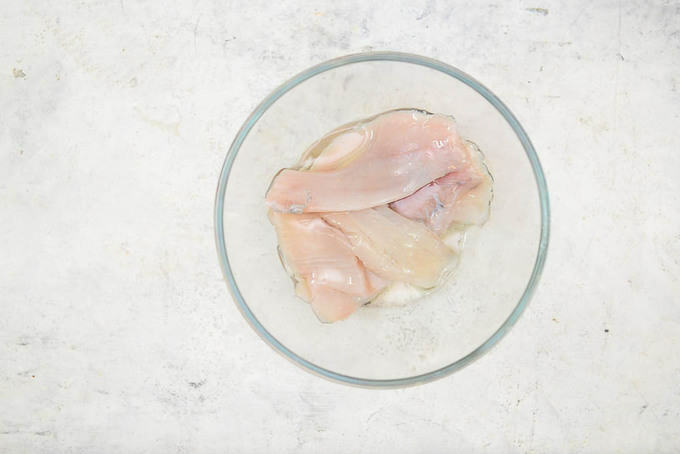 Yes, it is a very quick and easy fish recipe that way! Nevertheless, it is very tasteful and has a mind-blowing texture. Why? Because it is crisp on the outside. Whereas, on the inside, it is nicely flaky and juicy. 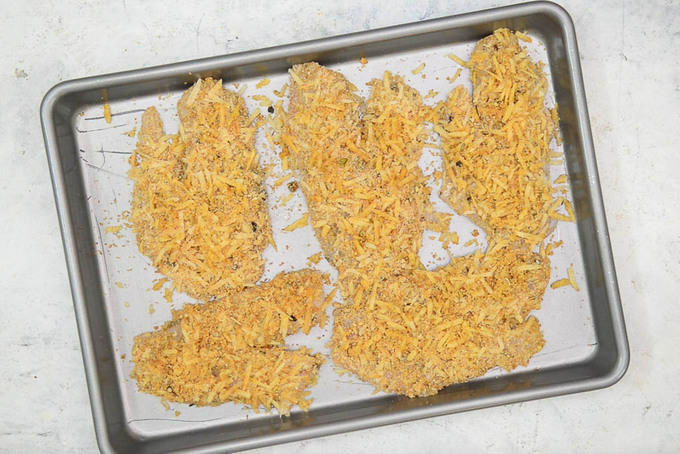 In order get a great crunch for the tilapia fillets, I have used mainly bread crumbs and grated parmesan. Also, I did add Italian herbs to the parmesan mixture so that the coat doesn’t taste all bland. 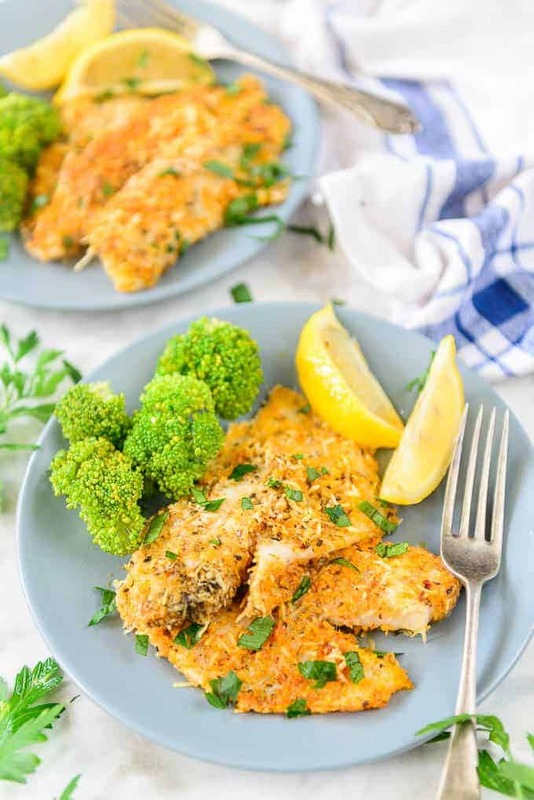 If you get it baked well then this Recipe for Parmesan crusted tilapia gives a beautiful golden brown tilapia fillet. 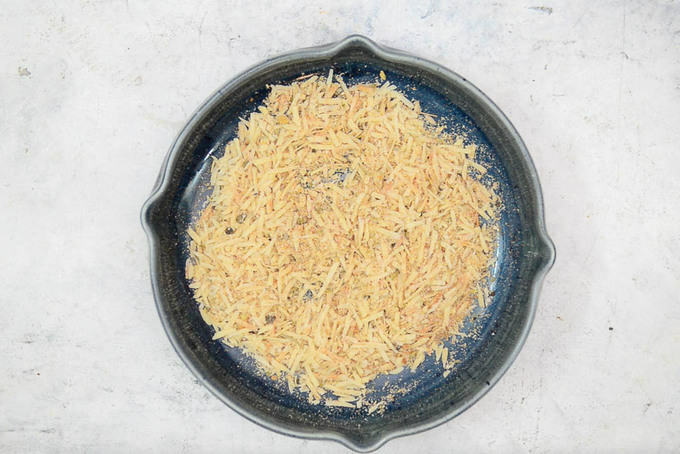 Furthermore, it has the uplifting flavour of olive oil, lemon juice, parmesan cheese, salt and pepper, herbs – all of it in one bite. What more do you want, eh? This is seriously one of the best baking dish to make when you are running short on time, telling you! What to serve with Parmesan Crusted Tilapia? You can serve this dish as an appetizer on it’s own. A glass of Red Wine Sangria will be a perfect match with this. If serving for main course, you can pair it with Brown Rice, Green Salad or quinoa cooked with chicken stock. Steamed vegetables are also a good option. Pre heat the oven to 350 degrees F. Mix breadcrumbs, parmesan cheese, salt, pepper, oregano, basil, rosemary, garlic powder and paprika in a shallow bowl. Drizzle the tilapia fillets with olive oil and press them in the cheese mixture to coat evenly. Transfer the coated fillets to the baking sheet. Bake for 10-12 minutes. Drizzle lemon juice and serve warm. 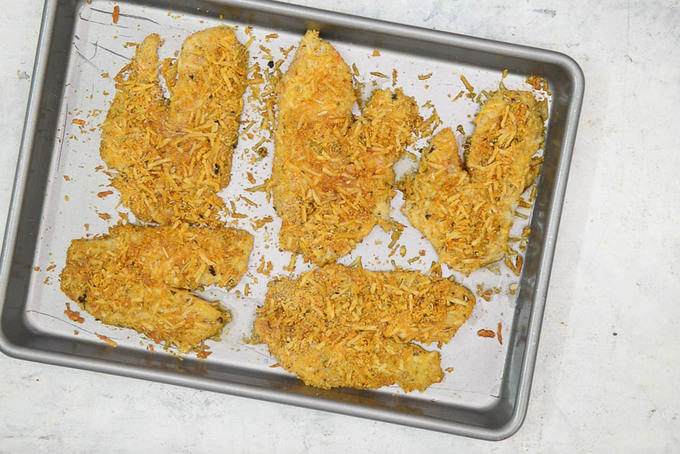 Parmesan Crusted Tilapia Recipe is a simple to make dinner fix for a hectic weekday meal. Also, it is made from readily available ingredients. 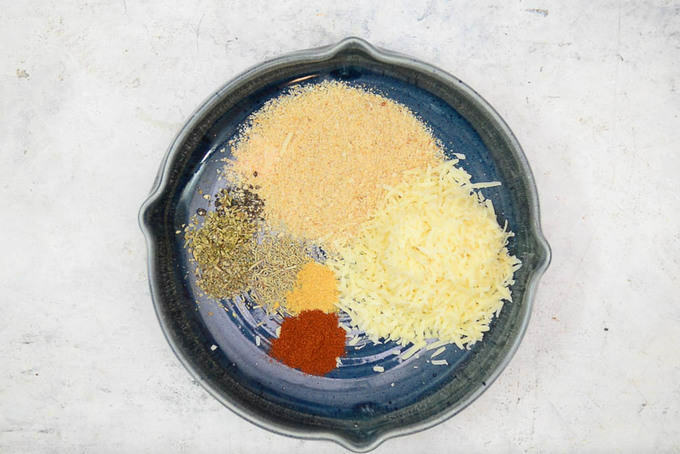 Mix breadcrumbs, parmesan cheese, salt, pepper, oregano, basil, rosemary, garlic powder and paprika in a bowl. Drizzle lemon juice and serve warm.